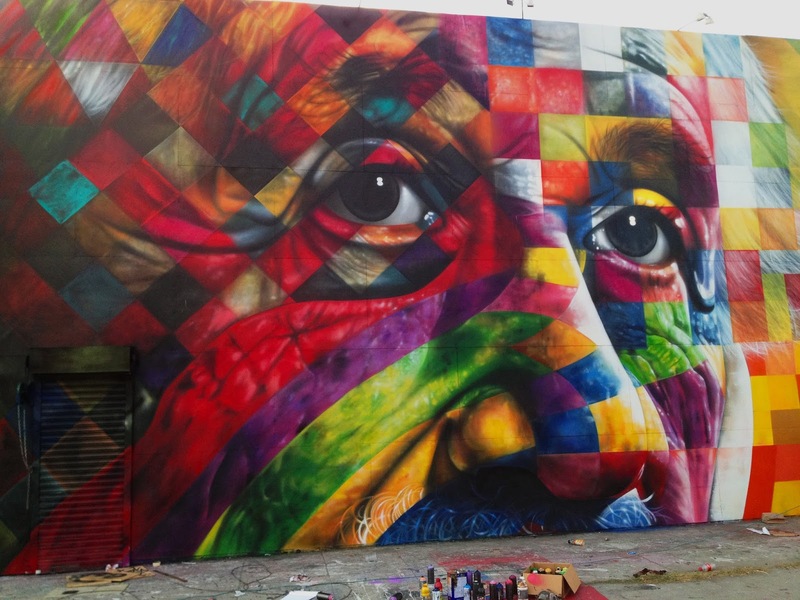 Brazilian street artist Eduardo Kobra has just completed his latest mural in Los Angeles, CA. 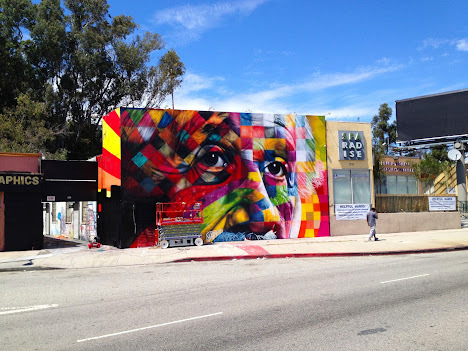 The vibrant mural is located on La Brea Avenue, at the same area where he had painted the Mount Rushmore piece in 2012. Kobra traveled to the USA at the invitation of Mr. Brainwash, the polemic french street artist who was the protagonist of Banksy's documentary “Exit through the gift shop”. The artwork, which is 82 ft height and 26 ft width, showing a contemplative portrait of Albert Einstein through the colorful visual language of Kobra, which comprises a mixture of colors and geometric forms along with an awesome realistic trace giving rise to a powerful piece full of expression and creativeness. Thanks to Kobra and his team for sharing the photos with us.